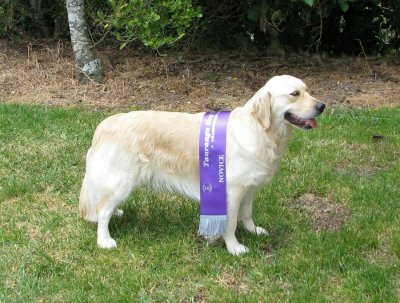 Maia is owned by Sue Dainty, Auckland. 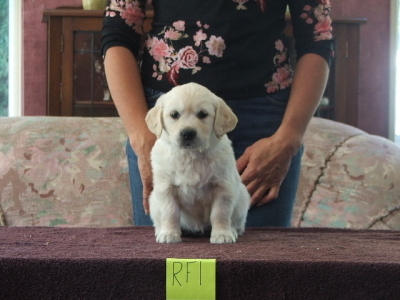 Maia is being shown in obedience and selected breed shows. 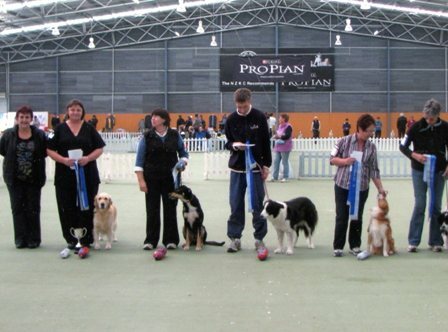 We are very proud of Maia and Sue with there many champianship obedience awards. 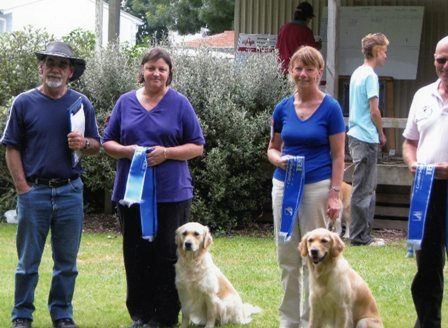 Maia achieved CDX as highest qualifier, she is now the third member of the cambermere kennel to gain the CDX qualification. 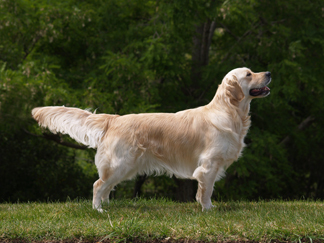 Maia is now competing competitively in test B.2012 results for test A consisted of four 1st, CGC Bronze and CDX Sliver. 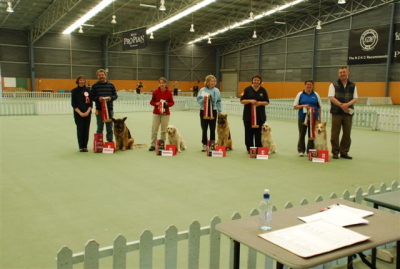 2012 results for test B were three 3rd, four 2nd and a 1st along with her CGC Silver and Gold. Maia at 6 wks Maia being placed 4th in Novice at her first Championship Obedience Show.